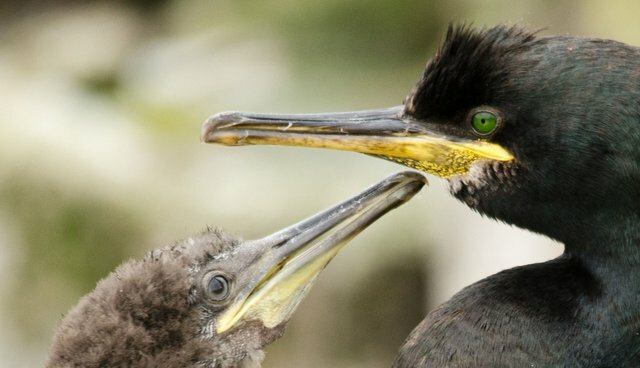 Back in 1994, marine biologist Álvaro Barros and his colleagues at Spain's University of Vigo started looking at the reproductive activity of 18 colonies of a diving bird known as the European shag (Phalacrocorax aristotelis). Then, on November 13, 2002, the hull of the Prestige oil tanker broke in half off the north-western coast of Spain, releasing 63,000 tonnes of oil. The oil heavily coated regions near seven of the colonies, and mostly missed the other 11, creating ‘oiled' and ‘unoiled' populations for the researchers to compare. The team now reports in Biology Letters that reproductive success was 45% lower in oiled populations compared with unoiled colonies, whereas it had been much the same before the spill ... [the number of healthy offspring per nest] averaged 1.6 for both oiled and control colonies before the spill. Afterwards, while the control colonies maintained the 1.6 figure, the number for the birds in the oiled colonies dropped to 1.0. Barros and his team did not look into the exact cause for such drastically reduced reproductive success, but they suspect the shags suffered from loss of other wildlife (specifically, prey) following the spill. The findings shed new light on just how detrimental oil spills are for marine animals.